America's Most Wanted cancellation danger? After 22 years on the air, it appears that FOX’s America’s Most Wanted series may be in some trouble — and not because of fugitives from justice. According to MediaBistro, the show has lost nearly a third of their staff, including the TV show’s entire West Coast Bureau. According to the report, host John Walsh fired Lance Heflin last August, his executive producer for 20 years. Steve Katz was hired as the new co-executive producer and “has not endeared himself to staff.” Numerous reporters and producers have either been laid off or have quit in the last 12 months. One still-employed staffer calls it a “blood bath” while another isn’t sure how they’ll still get the show on the air each week. What do you think? Could America’s Most Wanted be on its way out? Would you miss it? More about: America's Most Wanted, America's Most Wanted: canceled or renewed? Too bad,, but they will be moving to lifetime…so I look forward on seen the show there. BRING THE SHOW BACK……IT IS THE ONLY REAL SHOW ON TV TODAY…..IVE WATCHED IT SINCE IT BEGAN….NOW THERE IS NO REASON TO EVEN WATCH TV ANYMORE IF AMW IS CANCELLED. FIND A REPLACEMENT FOR MR. WALSH AND KEEP THE SHOW GOING. 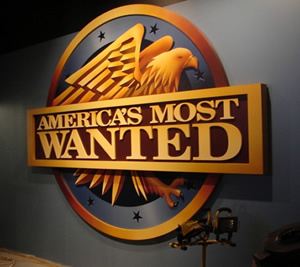 please bring “America’s Most Wanted ” back. AMW isn’t just great drama. It’s a great public service. Take, for example, the sicko profiled again tonight – the guy who victimized so many boys and then fled to Brazil. He WILL be caught. Had he not been profiled, nooone but the victims would know who he is and where he is probably hiding. If John Walsh can’t or won’t host the show anymore, Fox needs to find a good, zealous replacement. Why in the world would fox cancel AMW? If John Walsh does not want to continue then find a suitable replacement. To cancel AMW is stupid. It has been a vessel in opening Americans eyes to all these scumbags who kill or raped… or forced themselves on kids. Fox has become so bought out by political lobbists and Re-election money show, what they want the viewers to see from their viewpoint-the rich elite and will not dare to keep shows on that tell the American Taxpayers of the Corruption and Payola Government of Millionaire Club, Good Ole Boys Club of the government rich elite from city,county, state and the federal government. Sorry to see America’s Most Wanted get the axe, but what it is is what it is. Fox has joined the government in slicing, dicing and elimating those viewer who don’t fit their Cash Profile. What a disappointment cancelling a terrific program. It was great to see the bad guys caught. I have watched AMW since show no.1.i am very disapointed if it is cancelled.I always look forward to SAT.at 9pm. I cannot believe FOX cancelled this show. I have been watching AMW since I can remember. I think this is a very important show and FOX should reconsider. Look at how many criminals have been caught because of this show, what will happen now??? I don’t know if I will even watch FOX anymore, It’s truly too bad!! !